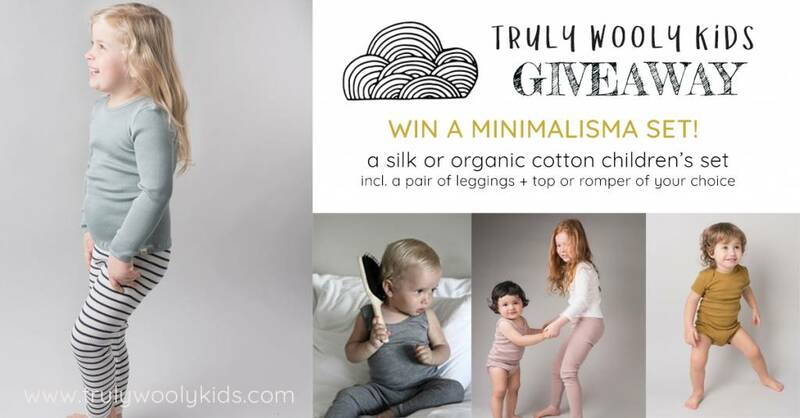 WIN a beautiful children's set by our love brand Minimalisma including a silk or organic cotton pair of leggings + a top or romper of your choice. To participate is easy! Register for the Truly Wooly Kids newsletter HERE and you automatically get a chance to win a Minimalisma set of your choice. The winner will be announced on the Truly Wooly Kids Instagram account (so make sure to follow :) on Sunday 11-02-18 around 9 pm (CET).